Made in Sicily: My rough guide to Palermo’s history and how they became an upper-midtable force in Serie A.
Palermo’s Famous Colours: The infamous pink shirt, what it represents and how it came to be. The Madness of Maurizio Zamparini: In a league known for its eccentric club owners, one man stands head and shoulders above the rest. Palermo’s resident mentalist, profiled. Serie D to Palermo, via Varese: Palermo manager Devis Mangia’s rise from non-league youth coach to top Serie A manager. (Serie A Weekly) Palermo’s Home Run Continues: Analysis of Palermo’s 2-0 win over Fiorentina last weekend and what the result means for the rest of their season. (Off-topic) (Back Page Football) Napoli’s Unsung Heroes: Walter Gargano, Hugo Campagnaro and the other players who don’t get enough credit for Napoli’s continued ascension. As noted yesterday, the job of Palermo manager is very difficult to keep. Maurizio Zamparini is very short of patience and rarely willing to give coaches the time they need to succeed. He runs the club his way, and you disagree with him you’re as good as gone. The Aquile have already gone through four coaches this season, and latest to enter the lion’s den is Devis Mangia. The 37-year-old has Palermo flying: they’re fifth in Serie A and have won all six of their home games this season. One would think this is the work of an experienced campaigner, but not. Mangia is a rookie in his first ever Serie Amanagerial role, and the start he’s made is remarkable. Born in Cernusco sul Naviglio in 1974, Mangia didn’t have much of a playing career. Hometown side Cernusco Enotria had him on their books briefly, but he never made it as a professional footballer and left the sport to study jurisprudence. Devis returned to football after graduating, and started learning his trade as a youth coach in 1999. Tiny sides Enotria Goliardo, Voghera and Fiorenzuola put him through his paces early on, and he became involved with organising youth tournaments in and around his local area. A breakthrough came in 2004. Mangia moved to Serie D side Varese, first as a coach and then as manager. He stayed with the side until 2007, taking Varese out of Serie D and leaving them in a comfortable Serie C2 position. The following season took him to amateur side Tritium, who he guided to a second-place finish in their division. Mangia moved to Serie D’s Ivrea a year later, but was unsuccessful and fired three days before the end of the 2008-09 season. Valencian took him on in 2009. Struggling financially and on the field, Valencian were in dire straights and competing in Italian football’s sixth tier. It looked like their season would end in disaster, but Mangia managed to stave-off relegation with a tenth-place finish. Mangia left the club to return to Varese as a youth coach. This is when his career really started to take off. Varese’s youth side were unfancied and unfashionable. They had no notable prospects, but Mangia’s guidance earned them a spot in the Campionata Primavera (a competition made-up of the youth teams of Serie A & B sides) final. Roma’s kids beat them 3-2, but reaching the final remains a big accomplishment for one of Serie B’s smaller sides. Varese’s Sporting Director Sean Sogliano left for Palermo this summer, and when he discovered the Aquile were looking for a new youth coach he knew exactly who to call. 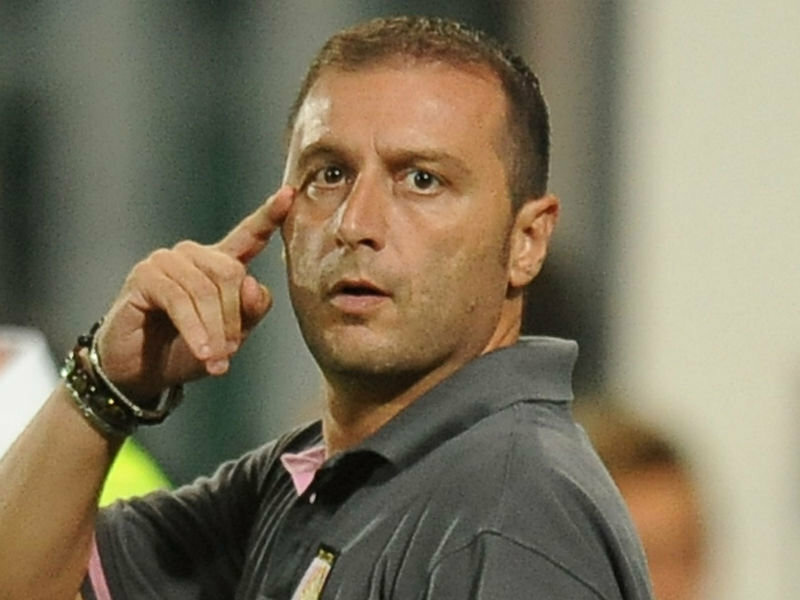 Mangia joined Palermo as the club’s under-19 manager, a job he’d only keep for two months. Mangia, despite his complete lack of experience at a high level, was appointed caretaker manager for the start of the season. He lacked (and still lacks) the coaching badges that are usually required to manage in Serie A, but was granted an exemption as he’d already been admitted to the 2011-12 UEFA Pro License course. Thrown straight into the deep end, Mangia could hardly have asked for tougher opposition for his first game in-charge: Internazionale. Mangia devised a gameplan with just 12 days to prepare. His Aquile lined-up in a 4-4-2 formation with the plan of pressing Inter right from kick-off. It worked: Inter’s rigid side couldn’t cope with Mangia’s system, and Palermo left with a 4-3 win. With that feather in his cap, Mangia has gone on to establish a flawless home record that even Zamparini has spoken highly of. Palermo’s away record, however, remains a cause for concern. They’ve only picked-up one point and are yet to score a single goal on the road this season, but such a run can’t last forever and they’re got a great chance to turn things around at Parma this weekend. It’s almost unbelievable to think that Mangia was working at non-league level just two years ago. Devis’ rise has been almost meteoric but his ideas are easily transferable between division. Ball retention is pivotal. Mangia likes the ball played along the ground with quick, dynamic wing play. The initial 4-4-2 somewhat neutralised Palermo’s most talented player, Josip Ilicic, but recent games have seen Mangia switch to a 4-3-1-2 to utilize the Slovenian’s strengths. The Aquile are pragmatic and gritty opposed to fluid and gritty, but they’re far from boring to watch. Devis Mangia’s story is incredible. Plucked from obscurity having cut his teeth as a youth coach, Mangia is now living the dream as a Serie A manager. Zampa’s track record suggest that he mightn’t get long in the hotseat, but here’s hoping he gets enough time to prove his worth. Personally, I think he’ll be a Serie A manager for a very long time. “Devis Mangia in the Pink World of Obedience,” Mina Rzouki, In Bed With Maradona. It’s not often that my weekly ATP musings tie-in with my Serie A Weekly column, but they do this week. This week I have a look at Palermo’s performance, their current position and their prospects for the rest of the season. If you’re interested in my take on Devis Mangia’s Palermo, check it out here. Nobody does madness quite like Maurizio Zamparini. Football has always had its fair share of crackpot club owners (who could ever forgot Perugia’s Luciano Gaucci?) but nobody, not even Venky’s, can match Zampa in 2011. Palermo’s owner is the biggest Mangiaallenatori (“manager-eater”) in calcio (having gone through 30+ managers in his career), and is one of the most outspoken men on the peninsula. A retail tycoon, Zamparini first dipped his toes into football in 1987 when he bought Serie C2 side Venezia. Zamparini and his money brought Venezia from the fourth-tier all the way to Serie A, and it’s telling of Zampra’s contribution (and resources) that the Venice side have slumped all the way to Serie D (non-league) without his backing. 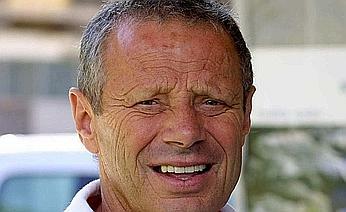 Zamparini left Venezia in 2002, and the club have been a non-entity ever since. He bought Palermo in the same year and announced his plans to take the second-tier Rosanero back into Serie A. Zamparini achieved his goal in 2004, and Palermo have been a formidable upper-midtable side since. Lets get this out of the way early: Zamparini has done a lot of good for Palermo. He’s taken the Aquile to new heights with excellent league finishes (three fifths and one sixth in Serie A), multiple European campaigns and last season’s Coppa Italia final. Palermo wouldn’t be where they are today without Zampa’s support, but the eccentric owner is considered one of the most ridiculous men in calcio for a number of reasons. Never afraid to speak his mind, Zamparini will defend his club to the hilt. If he feels Palermo have been wronged, Zampa will take to the press and make his feelings known immediately. More often than not, however, this can work to Palermo’s detriment (see below for examples). Zamparini is all too willing to openly criticise his subordinates in the public. Some of his rants against popular ex-coach Delio Rossi were particularly vile, given the excellent job Rossi did at Palermo, and he frequently criticises those he feels are underperforming. In 2008 he famously likened Palermo to “a team of girls, not men” after a defeat to Torino. I can’t imagine why he thinks saying things like this is a good idea. In the dressing room or on the training ground, fine, say whatever you want, but in public? Such outbursts, to me, demonstrate a complete lack of professionalism that can only destabilise a squad. Constructive criticism is useful, but vitriolic tirades are completely unproductive. On the surface this looks like Zamparini taking responsibility for the Aquile’s failings. To me, it’s a childish outburst from a man desperate for this around him to molly-coddle his ego, kiss his backside and say “no Zampa, it’s not your fault.” And all this over a friendly? Tsk, tsk. If Zamparini is known for anything, however, it’s his trigger-happy nature when dealing with managers. He’s gone through an extraordinary amount of managers in his time, and his patience isn’t showing signs of improving any time soon. The Aquile, for example, have changed managers 19 times since Zampa’s takeover. That’s an average of more than twice a season that would be far higher if not for Rossi’s two-year reign. Last season was a complete fiasco. Rossi was fired after a freak 7-0 loss to Udinese and replaced by Serse Cosmi, the eccentric ex-Livorno coach. Cosmi lasted just four games, and was dismissed after a 4-0 loss to Palermo’s Sicilian rivals Catania, and guess who replaced him? Delio Rossi, the man who Zamparini had accused of “ruining” Palermo just five weeks prior. This has been going on for a while. Current Udinese boss Francesco Guidolin has had four different stints in-charge of Palermo, none of which have lasted longer than a year. 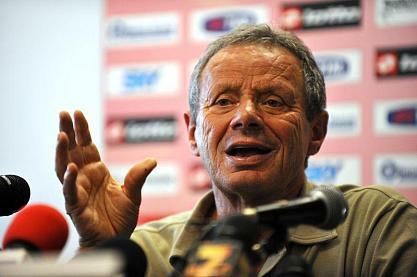 First firing Guidloin in December 2004, Zamparini said “he has no future here,” then proceeded to bring him back to the club on three further occasions. Does anybody else see a pattern emerging here? It’s amazing that Palermo have achieved such success without any continuity on the manager’s office. Italian clubs aren’t known for giving managers time, but the Aquile have had four different managers in 2011 alone. New-boy Devis Mangia has had an excellent start to the season and looks to be in Zamparini’s good books, but history suggests that it won’t be long before the young coach falls foul of the volatile owner. Personally, I think Zamparini is great entertainment. It’s easy to say that from a distance, though: if I was a Palermo supporter, I suspect I’d have a different opinion. That he’s done a lot of good for Palermo is undeniable, but who would want such a brash, explosive character attached to their club? For now, however, I will continue to “enjoy” Zampa’s mad antics from afar. “Rossi has a one per cent chance of staying on the bench, you can bet on that. The team has been completely destroyed. He ruined my Palermo… I should’ve kicked Rossi out at Christmas.” – on Delio Rossi, one of Palermo’s most popular coaches of all-time, after a freak 7-0 loss to Udinese last season. Rossi was fired shortly after. “Changing coaches was a mistake on my part for which I ask Palermo’s fans to forgive me. I rediscovered my belief in Rossi because he is an excellent coach.” – five weeks later, Rossi was reappointed and Zamparini was backtracking. “I will cut off their testicles and eat them in my salad.” – on Palermo’s players after a particularly poor 2003 when the club were still in Serie B. “I didn’t mean to offend Adrian Mutu when I called him a crafy, little gypsy.” – Zampa’s way of apologising for a borderline racist rant against Mutu in 2007, when the Romanian striker had scored against Palermo (who had a man down injured). “The English are pirates.” – on rich English clubs poaching talented Italian youngsters before they have a chance to mature in their home country. “We should put all of the referees in prison.” – English clubs, take note: this is how you criticise a referee. Zampa unleashes on match officials after a 3-1 loss to Cagliari in January. Alessandro Matri’s Cagliari opener was clearly offside, and Zampa demanded an apology (which he didn’t receive) from the referee designators. List of U.S. Cittá di Palermo managers – Wikipedia. “Meet the 20 crazy owners/presidents of Serie A,” The Offside. “Maurizio Zamparini: Mangiallenatori,” Rory Hanna, Forza Italian Football. “’The English are pirates’ & Palermo president Maurizio Zamparini’s top 10 quotes,” Goal.com. Most of my friends aren’t big calcio fans. Mention Palermo to them and they’ll typically recall them as the team with the pink shirts. Nobody knows about Fabrizio Miccoli and Maurizio Zamparini, but everybody remembers the pink shirts. This is hardly surprising. How many other clubs have the fortitude to stride out in a pink kit every week? This season’s Juventus away shirt is a particularly garish tone of magenta and my friend’s five-a-side team have sported a totally macho pink number for years. I think Everton’s away shirt had a splash of pink a year or two ago. Maybe. But Palermo haven’t always been pink. The club, on their 1898 inception, chose blue and red strips in a “halves” style that was almost identical to today’s Genoa and Cagliari shirts. I don’t know what the significance of these colours were. Maybe Palermo’s English founders wanted a kit comprised of two of the Union Jack’s colours, or maybe they were selected randomly. I haven’t been able to find out either way. The pink and black shirts, therefore, represent the club’s early inconsistency. I find this unbelievably pessimistic and unambitious, but it’s definitely appropriate. Palermo have competed in all four of Italy’s professional divisions since their formation, and they still struggle for consistency today (just look at the discrepancy between their home and away performances this season). A lack of pink flannel in Palermo meant the club had to wait a few months for the material to be imported from England. Their first game in the new colours came against an unnamed amateur side, which Palermo won 2-1. Change came again in 1936, but this time it wasn’t the club’s choice. Benito Mussolini’s fascist government forced Palermo to abandon their pink kits for red and yellow jerseys. He ruled that Italian clubs should wear the colours of their respective municipalities, but Palermo eventually reverted to pink and black a year after their 1941 merger with Juventina Palermo. Not quite as interesting as Juventus’ story of borrowing black and white shirts from Notts County, but a nice story nonetheless. Learning about small details like the meaning behind a club’s colours is always good fun, and who doesn’t love a little chunk of trivia? U.S. Cittá di Palermo – Wikipedia. “Palermo, 100 anni di rosanero,” Vincenzo Prestigiacomo, La Gazzetta. 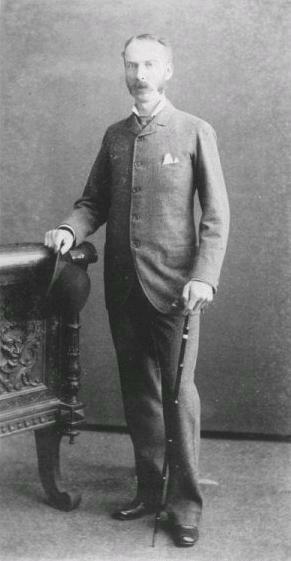 Englishman Joseph Whitaker: an important figure in Palermo's birth. Football in Palermo, as in Genoa, has English roots, even if the Aquile’s founding fathers’ legacy isn’t as storied. Palermo’s early days are hazy and there’s a lot of debate on the particulars of their foundation, but the football club’s first stages are thought to have appeared in 1898. English sailors docked into the city’s harbour first brought football to Palermo, and the Aquile’s original registration papers are addressed to an Englishman, Joseph Whitaker. Despite this, the club’s foundation date is usually accepted as November 1st, 1990. Ignazio Majo Pagano, a colleague of Whitaker, founded the Anglo Palermoritan Athletic and Football Club with a squad of three Englishman and nine Palermo natives. They played their first match on December 30th of that year, losing 5-0 to an unknown English amateur team. Whitaker remained prominent throughout the club’s formative years. The team trained on his own football pitch, and they competed in the “Whitaker Challenge Cup” from 1905, winning the competition once. The club’s name changed to the more memorable Palermo Foot Ball Club in 1907, and they competed in the Lipton Challenge Cup from 1909 to 1914. Set-up by famous tea mogul Sir Thomas Lipton, the original competition only comprised of two times, Palermo and Naples FBC, but was later expanded to include Internazionale Napoli and Messina. Palermo won the competition in 1910, 1912 and 1913, memorably thrashing Naples FBC 6-0 in 1912. Palermoritan football was suspended after the last Lipton Challenge Cup for the First World War, but resumed again in 1918. A committee of university students refounded the Palermo club in 1919 as Unione Sportiva Palermo, and the club started competing in the national football league’s southern division. They were forced to withdraw for financial reasons in 1927, but merged with Vigor Palermo to become Palermo Football Club in 1928. The new side were readmitted into the Italian league system that year, and competed in the Prima Divisione (the equivalent to today’s Lega Pro Prima Divisione/Serie C1). Palermo were promoted to Serie B by 1930, and it only took them a further two seasons to reach Serie A. Striker Carlo Radice was a key man in Serie B, and scored 27 of Palermo’s 50 goals during their promotion season. Palermo adapted well to life in the top tier, notching an impressive 5-1 over Atalanta in their first game and finishing as high as seventh in 1934-35. It wasn’t to last, however, and the Aquile’s four-year stint in Serie A ended with relegation the following season. Joining fellow Sicilian sides Messina and Catania in the second tier, Palermo established themselves as a decent midtable team and notched three consecutive seventh-place finishes. The Sicily Derby between Palermo and Catania was born with the teams’ first clash in 1936, with the first game ending in a 1-1 draw. The financial problems of old resurfaced in 1940, and the Aquile were again suspended from the football league. This brought about yet another merger, this time with Unione Sportiva Juventina Palermo, with the new team competing as Unione Sportiva Palermo-Juventina. Palermo-Juventina were admitted into Serie C in 1941 and returned to Serie B in 1942 but World War II forced their withdrawal the following year. Another year, another refoundation. Palermo came back to life in 1946 and returned to Serie A in 1948. Czechoslovakian winger Cestmir Vycpalek and ex-Catania man Carmelo Di Bella were key players on Palermo’s flanks, and the Aquile were able to stay in Serie A for six seasons despite never finishing higher than 10th. 1954 was a particularly grim year for Palermo: not only were they relegated, but club president Raimondo Lanza di Trabia committed suicide on New Year’s Day. A new board was formed and the club rallied. Players like Enzo Benedetti and Argentine hitman Santiago Vernazza (the club’s second top goalscorer) turned out for the Aquile along with the likes of future Juventus legend Giuseppe Furino. An imperious defensive midfielder, Furino made 27 appearances in his single season in Sicily before a 15-year Bianconeri spell garnered a record eight Serie A titles. A yo-yo spell saw Palermo promoted and relegated between Serie A and Serie B six times in eight years. Consistency returned in the mid-‘60’s, though not in the league Palermo would’ve wanted, as Palermo stayed in Serie B for five consecutive seasons from 1963. Renzo Barbera, after whom Palermo’s stadium is named, took over in 1970 to start one of the more successful periods of the club’s history. Palermo never escaped Serie B during Barbera’s 10-year tenure but relegation was rarely a threat and their Coppa Italia performances were astonishing. They’ve never won the competition but took Bologna to penalties in 1974 and only fell to Juventus in extra-time in 1979. Unsuccessful on the surface, but remarkable considering Palermo were a middling Serie B side at the time. The next few years were unremarkable. Palermo were still in Serie B in 1986 but expelled from the league for financial troubles for the third time. A whole year went by without professional football in Palermo, but the team was again resurrected in 1987. They won Serie C2 at the first time of asking, but it took another three years to achieve promotion back to Serie B.
Relegation in 1991-92 preceded a championship-winning Serie C1 season, and the club were <I>again</I> rebranded in 1993. Palermo adopted the moniker Unione Sportiva Citta di Palermo, which they still use today. If history is anything to go by, however, I’d say they’re probably due a name change in the next year or two. A four-year spell in the doldrums started in 1997 and ended with promotion to Serie B in 2001. These were some of Palermo’s darkest days. The club almost fell into Serie C2 in 1998 after losing a relegation play-off with Battipagliese. Who knows what would’ve become of the Sicilians if Ischia Isolaverde’s Serie C1 expulsion hadn’t saved them from relegation. Maurizio Zamparini, not known for his patience. Back in Serie B, Palermo finished 10th in 2001-02. Incumbent president Maurizio Zamparini, who’d previously taken Venezia to Serie A, bought the club and immediately pledged a Serie A return. Several ex-Venezia players (including Arturo Di Napoli and Stefano Morrone) were brought-in as Palermo finished fifth, with a Luca Toni-inspired side capturing the Serie B title in 2004. Palermo returned to Serie A for the first time since 1973 for the 2004-05 season and achieved an exceptional sixth-place finish. Toni continued his excellent form, scoring 20 goals in 35 appearances to earn him a summer move to Fiorentina. Another excellent season followed despite Toni’s transfer. Palermo’s first ever UEFA Cup run would’ve seen them reach the final if it weren’t for a 2-2 away-goals loss to Roma in the semis. Things weren’t looking so bright domestically but a January managerial change soon turned that around. Palermo originally finished eighth in Serie A, but Calciopoli’s point deductions saw them bumped to fifth and another season of UEFA Cup football. An excellent start in 2006-07 saw Palermo win nine of their first 11 Serie A fixtures, but they drew a tough UEFA Cup group (Frankfurt, Newcastle, Fenerbahce and Celta Vigo) and failed to progress. The Aquile did well in Serie A without the distraction of Europe, this time earning their fifth-place finish on merit with captain Eugenio Corini scoring 10 goals from midfield. The standards started to slip in 2007-08. Future favourite Fabrizio Miccoli joined in summer but Palermo were knocked-out of the UEFA cup by Czech minnows Mlada Boleslav. A series of managerial changes saw Palermo struggle for consistency, and they finished in an extremely disappointing 11th in Serie A. A finish of eighth in 2008-09 wasn’t enough to secure a European return but 2009-10’s fifth certainly was. Palermo have struggled to maintain the high standards set during their first two continental campaigns. Last season they were knocked-out in the Europa League’s group stage, and this season they didn’t even make it past the first the qualifying round. Palermo have transformed themselves from also-rans to upper-midtable European contenders over the past decade. Zamparini has clearly had a big influence on this, and I’ll definitely be taking a look at his colourful reign later in the week. I’ve shied away from the present-day Palermo side too, as I intend on covering their recent fortunes in my Serie A Weekly column this Wednesday. Unione Sportiva Cittá di Palermo – Wikipedia.